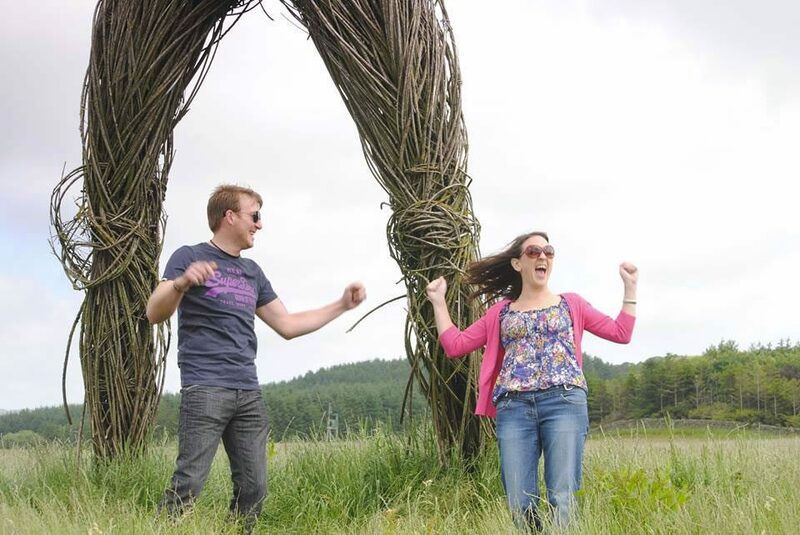 In June this year DGWGO ran a competition to win 2 full weekend and camping tickets to the south west of Scotland’s biggest summertime party ‘The Wickerman Festival‘ . 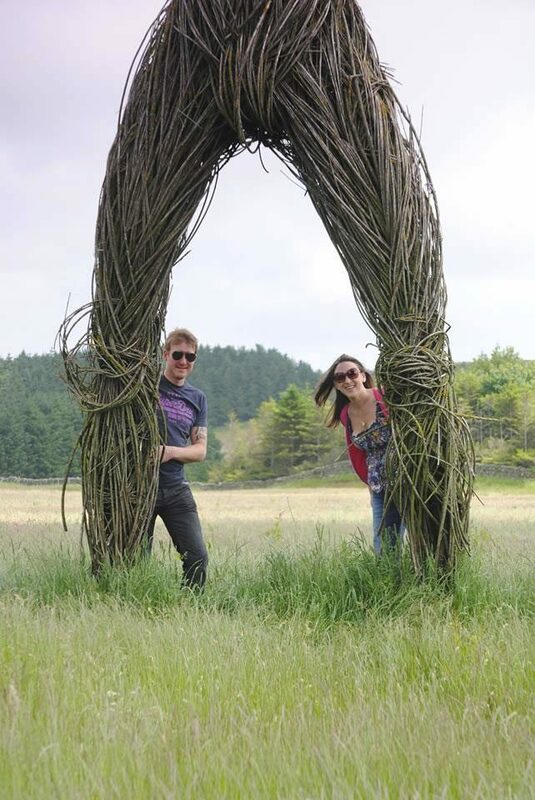 We kept the competition as an exclusive to anybody that signed up for our monthly newsletter, and we asked the question ‘ Who were the Two Headline Acts for Wickerman 2013’. We had hundreds of entries from all over the world into the competition , and most got the answer correct , which was of course ‘ primal Scream and Amy McDonald’ . Well I spent hours printing out and cutting out all the entries names, and putting them into my festival hat, I gave it a right good shake, and the first name out was a ‘ Miss Sally Gillies ‘ from Castle Douglas . 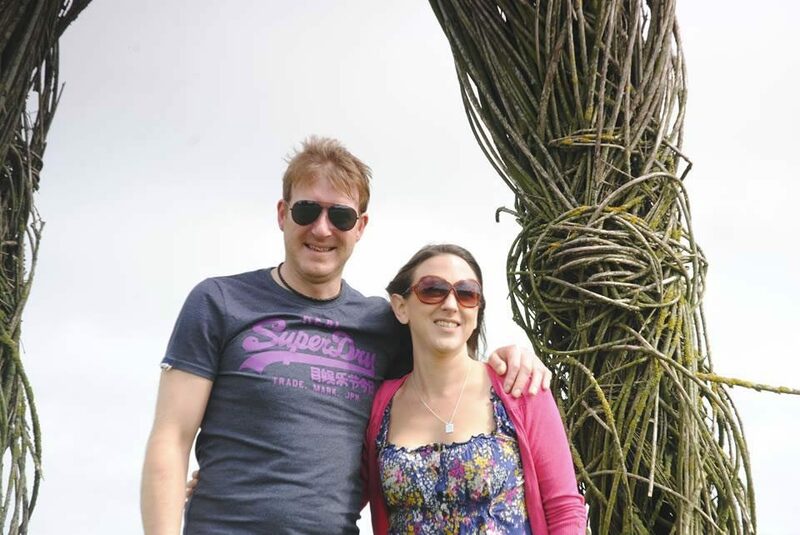 I contacted Sally and she and her partner Mark were over the moon to win such an amazing prize. 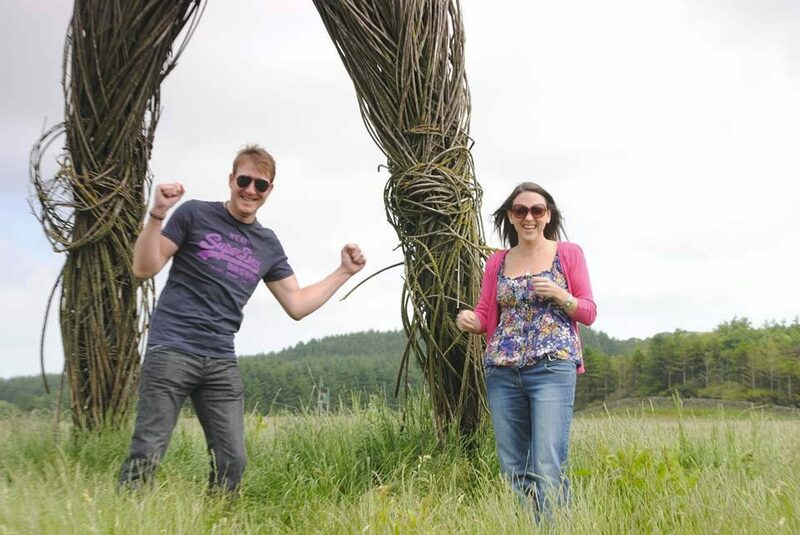 I met up with the winners Sally and Mark this morning at the Wickerman site ( July 6th) to ask them a few questions and get a few pictures of them celebrating. 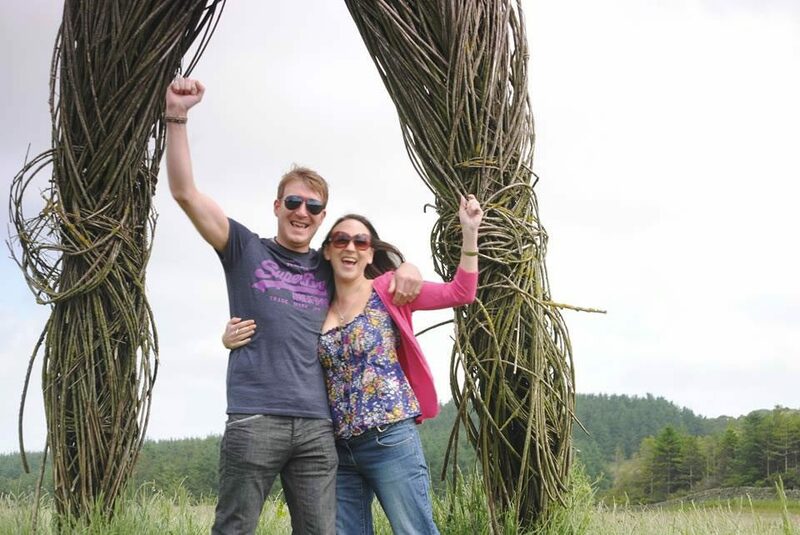 Sally said she was chuffed to bits , as she hadn’t been to the festival for a couple of years, and Mark told me he was really excited as he had never been to the Wickerman festival ever,and he was really looking forward to the whole experience. 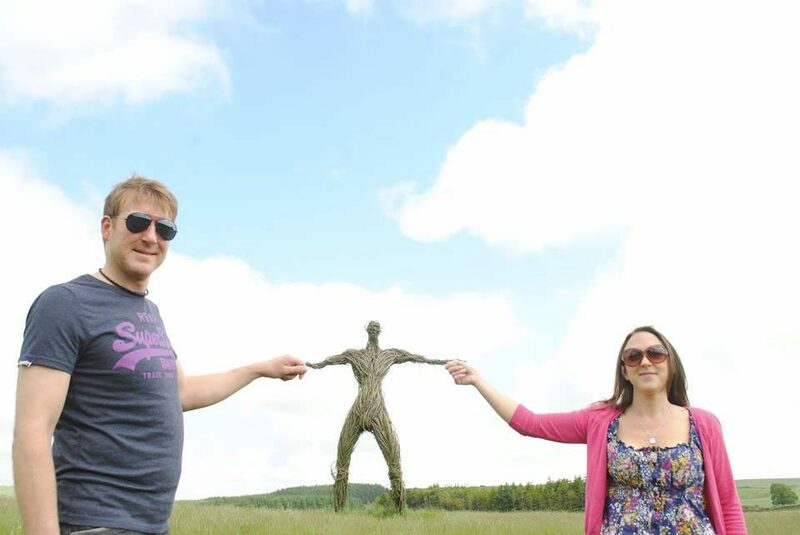 Especially the burning of the 40ft wickerman on the Saturday night at Midnight ! Sally said the band she was really looking forward to seeing the most was the Friday night headliners ‘Primal Scream’ and their song ‘Country Girl’ is one of her favourites. 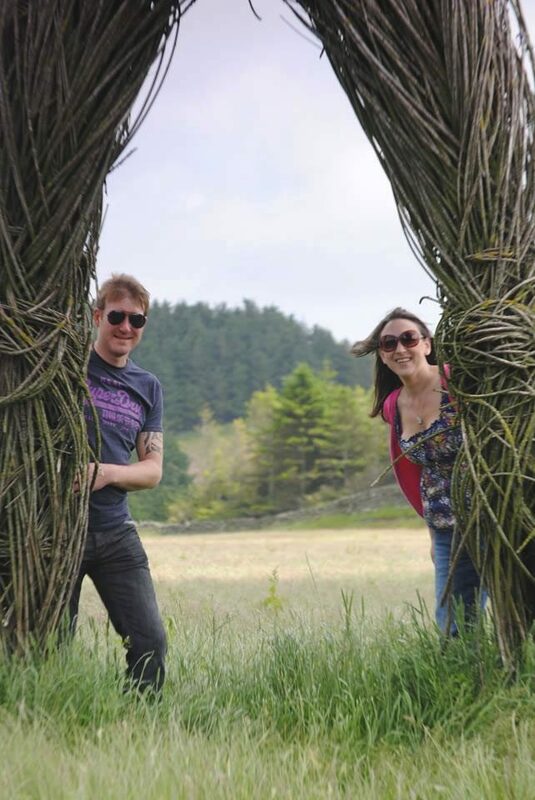 She also said she was looking forward to finding out more about the brand new Bar in the Starwood and the Ho Down Wendy House as they are both new since the last time she attended the festival! It was really lovely to meet the winners, and get to know what they were looking forward to the most. 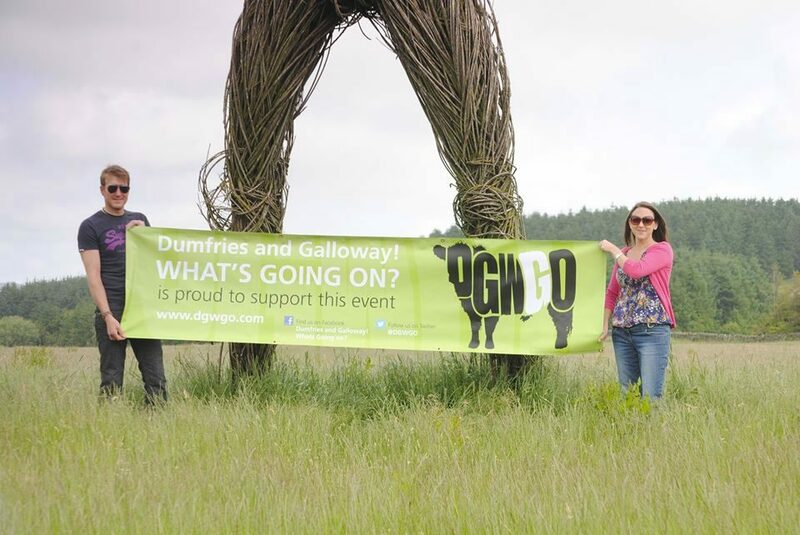 DGWGO will be keeping up with Sally and Mark during the weekend of the festival on the 26th and 27th of July to make sure they are ok and making the most of their free passes , kindly donated by the Wickerman team. and we will get more photos of them enjoying the whole experience ! Rain or shine it is going to be amazing and will be the biggest party in the whole of the south west of Scotland this summer. Previous articleIs Your Website Mobile Ready? Next articleYouth Fest kicks off with a bang!